I bet everyone is happy when they get a brand new shining MacBook Pro. However, it can become covered with fingerprints, crumbs and dust in a short time, in case you use it regularly. The good news is that you can take care of your MacBook and make it look like new again! Almost every part of MacBook (ordinary version, Air or Pro) can be cleaned just at home! There are only several moments when it is better to take it to an authorized service provider, but I'll tell you about them later. So, let's begin with the main part! 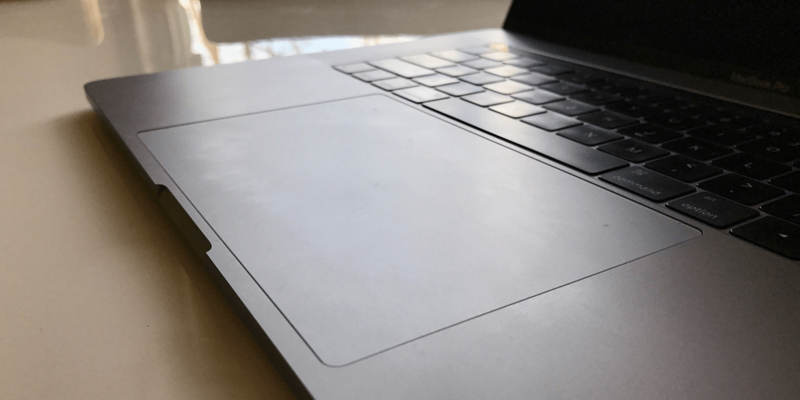 Here are simple steps of safe cleaning the MacBook screen, trackpad, keyboard and its Touch bar. 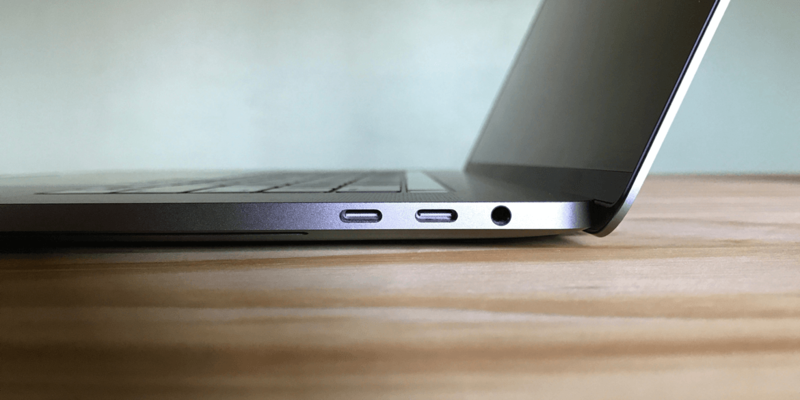 Shut down your MacBook, then unplug the cable, remove any other accessories. Take a soft lint-free cloth, you can use a microfiber one. Spray it with water. It is better to use distilled water, but if you don't have it, use common water. Now, it's time for wiping down the MacBook! Don't apply the water to your MacBook and make sure that you use it only for wetting the cloth. Apple warns users that using solvents, aerosol sprays, abrasives may harm your MacBook. So, don't use anything except clean water. You can keep a cloth and a bottle with distilled water on your working table, as I do. So, you will never have a problem with cleaning your MacBook. Why should people use distilled water? It doesn't contain any deposits and minerals that ordinary water includes. Such water won't harm your MacBook. Shut sown your MacBook and take off the power cable. Remove any other accessories. Use another wipe (don't use bleaches) to clean the keyboard and trackpad of your device gently. Beware of liquid, don't use the excess amount of it. Wipe the same area with a microfiber cloth dampened with distilled water. Dry the cleaned area with another soft microfiber cloth. Don't use disinfectant sprays with bleach. Avoid using sprays in general. Don't use extreme disinfectants for cleaning the area. Very damp wipe can create excess liquid, and you'll need to remove it until it affected your MacBook hardware. Don't let the disinfectant liquid staying on the area for a long time. Clean it quickly. Don't use rough cloths or towels for drying the area. Don't use force while disinfecting the keyboard of your MacBook Pro, as it may damage it. Mix a part of distilled water with a part of rubbing alcohol in a spray bottle. This will make you free from using special disinfecting wipes. But make sure that you spray this liquid onto your microfiber cloth but not your MacBook Pro! If you don't want to mix water with alcohol and waste your time for inventing alternative DIY methods, but disinfecting wipes in a shop. They are not very expensive. I think that your MacBook Pro is worth being cleaned! As I've mentioned at the beginning, there are situations when getting your MacBook to a Service center is the best decision. Cleaning the MacBook ports in one of such situation. Do you know where is the nearest Apple Store or an authorized service provider? If you know what you are doing, cleaning things can be easy as a piece of cake. But when you don't imagine how to clean a port, don't try to do it, as it can be accidentally damaged. Apple even doesn't charge any fees for this service in the majority of times! So, take your MacBook to such center and ask them if they could clean ports in your MacBook. Another situation when the specialized help is needed is the liquid damage. Don't try to fix such devices by yourself, as it is risky. You can harm them even more. That's all for today, my dear Apple fans! I hope that your MacBook will remain as clean as a new one, and you will enjoy its efficient work!